Since the first concert for York County’s (PA) 250th Anniversary Celebration in 1999, the York County Honors Choirs have celebrated the county’s rich diversity through the voices of its youth. The choir’s great success during the supposed one-time performance inspired Director Randy Yoder and the Advisory Board to establish a permanent choir of students in 10th, 11th, and 12th grades from the many school districts of York County. Now known as the York County Senior Honors Choir, this group of 110-120 singers has sung for President George H.W. Bush and PA Gov. Tom Ridge, performed in the United Nations, the Cathedral of St. John the Divine, St. Patrick’s Cathedral, and Carnegie Hall in New York, Canterbury Cathedral and the York Minster in England, Washington National Cathedral, and at Oriole Park at Camden Yards in Baltimore. 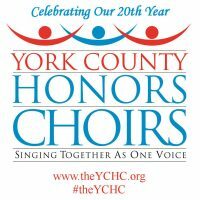 In 2002, Director Donna Knott founded York County Junior Honors Choir for students in the 7th, 8th, and 9th grades from throughout York County. This choir, 100 singers strong, has performed in Pittsburgh, State College, Philadelphia, Baltimore, Annapolis, and many local venues. 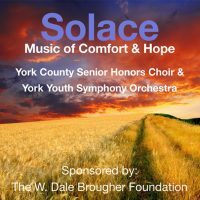 Today, both of these choirs plus two smaller performance ensembles (Concorde and Synergy) serve as choral ambassadors of York County, presenting up to 20 concerts annually. Students audition each year for a position in the Choirs, and they consistently report that, in addition to the musical opportunities, the benefits of participating in the Honors Choirs have far exceeded their expectations. 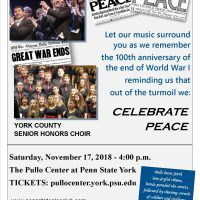 This unique collaboration with public and private school choral directors, private music instructors, church choir directors, homeschoolers, and families from all over York County gives students the opportunity to share their talents with others who have the same love of music and level of dedication. The non-profit organization York County Honors Choirs is organized and maintained by a volunteer Board of Directors that is responsible for managing the choirs’ operations, fundraising, and marketing efforts. York County businesses, grants, and private patrons support the group financially. Please visit our website to make a valuable donation to the future of our choirs: www.theYCHC.org.